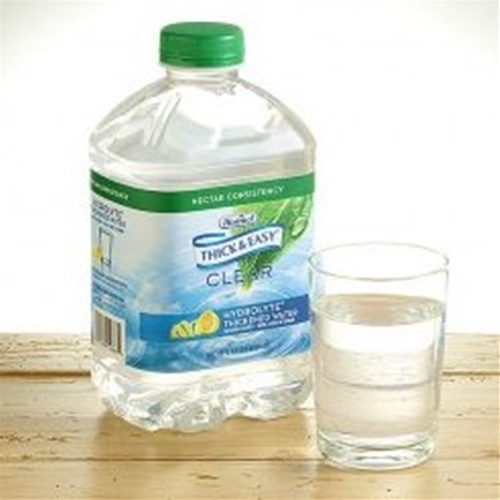 Hormel Thick & Easy Clear Thickened Beverages from HealthyKin.com are ready-to-serve, reliably thickened drinks. 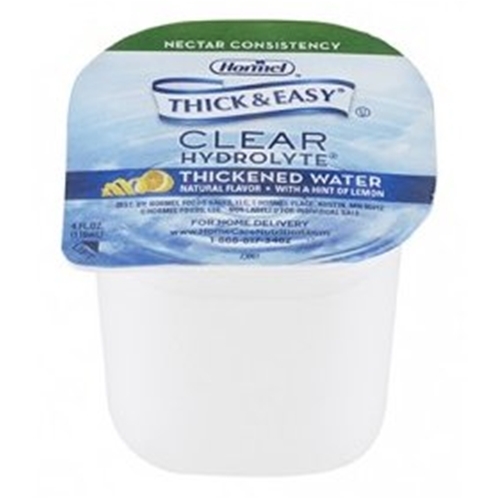 Every product is fortified with vitamins and minerals, and each 4-ounce serving provides the full recommended daily requirement for Vitamin C.
The 4-ounce portion control cups have easy-peel foil barrier seals that remove quickly and cleanly, minimizing spills. Our 48-ounce custom-made container is convenient to handle and can be easily resealed for future use. The sturdy, built-in handle increases pouring ease, and the durable translucent barrier construction of the container extends shelf life, color and vitamin efficiency. 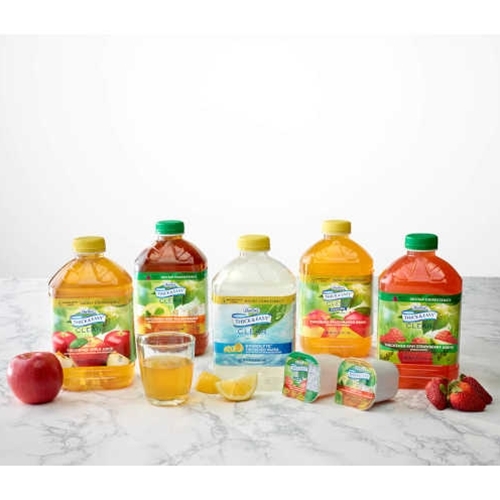 I purchased the Apple Juice, honey thick, for my two year old daughter who has silent aspiration. This juice is the perfect consistency, and I know that she is safe drinking it. It also tastes great! And I love that it has only four ingredients. 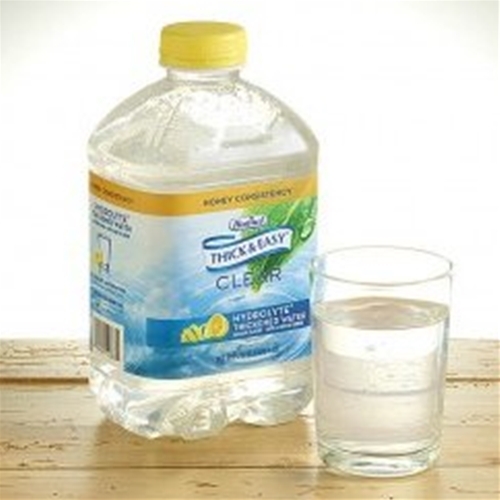 The 48 oz bottle is a great value! Iced tea has a good flavor. Pre-mixed makes life so much easier! Apple juice is good too. My Mom has trouble drinking thin liquids and she has to have her drinks thickened. 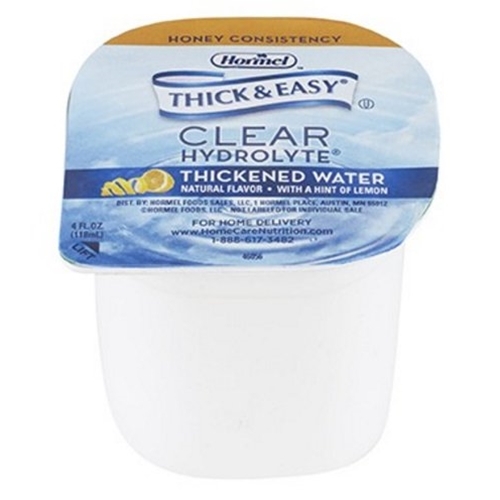 She loves this product and I love it because it's already thickened for us and it's a GREAT PRICE compared to other places. The shipping is very fast too! Thank You!!!! THIS PRODUCT BRINGS A SMILE TO MY MOTHER IN LATE STAGES OF ALZHEIMER'S. NICE TO KNOW SOMETHING DOES. LIGHTNING FAST SHIPPING. WONDERFUL CUSTOMER SERVICE!! My Dad has been pleased with this product. HealthyKin has been excellent getting the product to me timely. UPS lost the first order. HealthyKin was quick in sending a new order. Excellent product. I was very pleased with the quick delivery and great customer service too. Great liquids for patients recovering from a stroke.